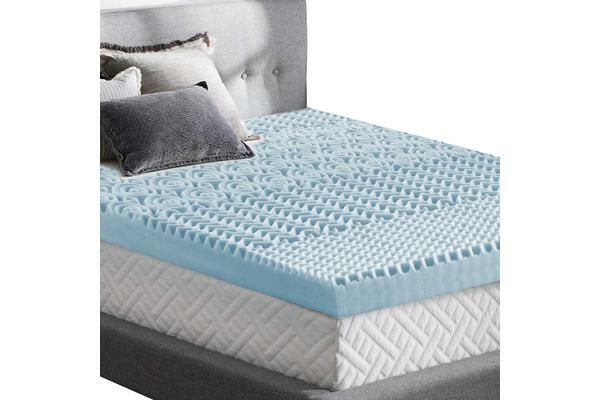 We know how important a good night’s sleep is to you, that’s why our 5-zone Cool Gel Memory Foam Topper is created. 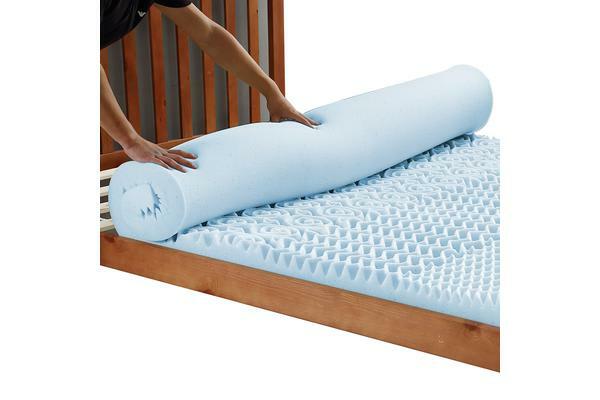 Because of its unique construction, the Memory Topper offers better blood circulation and total relief for any joint and muscle pains or back problems. The Egg-Crate sections provide gentle support for your head and feet while the Coils section do likewise for your back and torso. The middle Wave component completes the task with perfect support for your legs and shoulders. 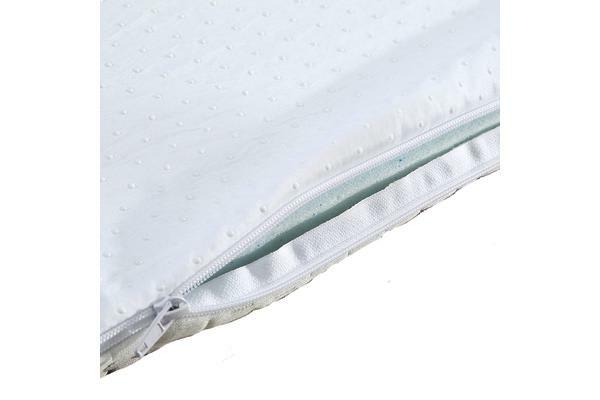 The removable and washable jacquard bamboo fabric cover is hypoallergenic with an anti-skid base to keep it firmly in place on your bed and is easy to clean too. Transform your sleep from good to great with our 5-zone Cool Gel Memory Topper and wake up in good condition each day.